Search Rent-in-France for self catering Vaucluse holiday rental villas in France – Book direct with the owner. Vaucluse is a department located in Provence, the southeast of France and its name comes from the Fontaine de Vaucluse, a famous spring in the area. The River Durance and the Rhone river border the department to the south and west respectively, with the rest mainly being occupied by mountains including the impressive Mont Ventoux which stands at approximately 1,912m and dominates the skyline. Other important mountains in the area that should be viewed include Monts de Vaucluse, the Luberon and the Dentelles de Montmirail. Located inland from the coast, the department is peaceful with its variety of landscapes and cultures. A self catering holiday rental in Vaucluse will allow you to enjoy a relaxing holiday exploring the department and its surrounding areas - whether its by car, on foot, or even cycling. Vaucluse is home to approximately 4000km of marked walking routes, around 240km of cycling trails and over 600km of bridle paths. All of these routes take you through the fantastic varied landscapes the department has to offer including plateaus, vineyards, ochre and not forgetting some of Europe’s best mountains. For keen fisherman, the Rhone offers some exceptional trout fishing and there are around 30 lakes throughout the department that offer great carp fishing. For the more extreme holiday-makers, the Vaucluse department is a hot spot for rock climbers with a wide range of rock faces to conquer. As found in many areas of France, there are also 3 top grade golf courses to be found in the department and a pass is available which allows you green fees to play them all when renting a self catering Vaucluse holiday gite or villa. The first thing that strikes you when looking for a holiday in the Vaucluse is its great variety and diversity of landscapes that the area has to offer. It provides the perfect holiday retreat for those who derive immense pleasure from outdoor pursuits. Avignon Situated on the left banks of the Rhone river, Avignon is the capital of the Vaucluse department. Approximately 600km south east of Paris, Vaucluse is famous for its Palais des Papes (Palace of the Popes) home to a number of popes and antipopes from the early 14th century through to the early 15th century. Roughly the same size as York in the UK, this city is a walled city with a number of ramparts which have remained intact over the years. It is also home to the festival of Avignon, one of the most famous festivals in the area. The official festival has a number of locations but with something for everyone, the fringes extend to include over three hundred shows and acts. Apt The principal town of the Leberon mountain range, Apt lies along the left bank of the Calavon around 40 miles east of Avignon. Formerly surrounded by some large ancient walls the majority of which have been replaced by boulevards. Its streets are irregular and narrow. Be sure to visit one of the main sights during your Vaucluse holiday rental, the Church of Sainte-Anne, which was once a cathedral. Building started way back in 1056 but it wasn’t until late 17th century that the building was completed. This charming market town offers you the perfect base for cycling and hiking when staying in your self catering holiday villa in Vaucluse, due to its proximity to the ‘Luberon en Velo’ cycle paths. Menerbes A beautiful stone village situated up on a high ridge with stunning views over looking the lush plateau below. Be sure to visit the only two dolmen sites in Vaucluse during your stay, both are very impressive and are definitely worth a visit. 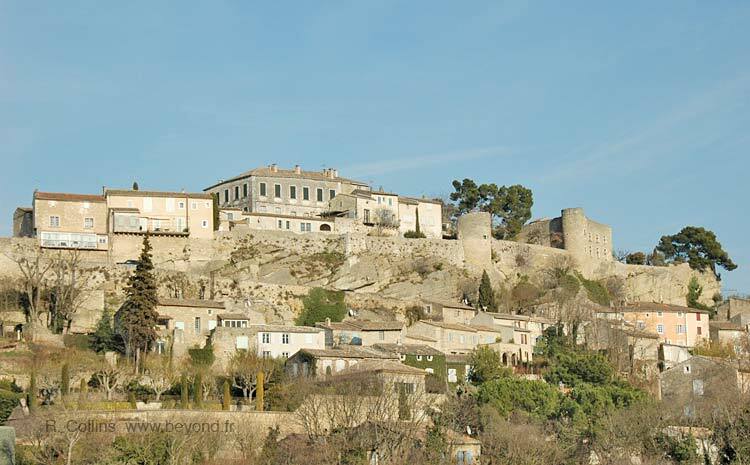 This walled medieval village spread out across the hilltop has attracted many artists and writers over the years; these include Picasso, Nicolas de Stael and Peter Mayle. Carpentras Famous for its Truffle market that takes place every Friday throughout the winter months Carpentras is an old town which stands on the banks of the River Auzon. 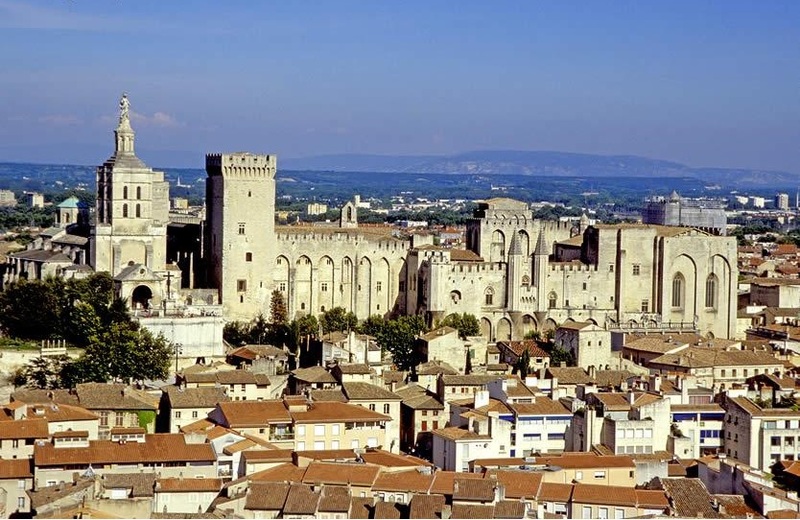 The town centre is rich in historic buildings, monuments such as the Roman Arc de Triomphe and buildings such as the Chateau des Comtes de Toulouse, fourteenth century Porte d’ Orange and the St Siffrein Cathedral are more than enough to keep you busy during your French holiday rental in Carpentras- Vaucluse. The climate in the Vaucluse is mild. Its coastal climate means the summer months are very hot with an average temperature of 30°C. The winter months are rather cold and see an average temperature of 5°C. During the autumn and spring time the department sees the rainy season and can often be accompanied by some strong mistral winds. Getting to the Vaucluse department shouldn’t be too much of a problem. The department is serviced by Nimes Airport (FNI) and Marseille Airport (MRS) both of which receive regular cheap flights from the UK from a number of airlines. These two main airports are also within an hour away from a huge majority of holiday rentals in Vaucluse. Avignon Caumont and Paris Orly receive regular flights from most of the UK's London airports but are some way away from most property in the Vaucluse department. A Brand new TCV station has been built in Avignon and due to the Eurostar service, its very easy to get to your destination. There are trains from St Pancras direct to Avignon, which is only 49 kms from St Pantaléon. If you are thinking about driving, Calais to Avignon is quite a journey - approximately nine hours.